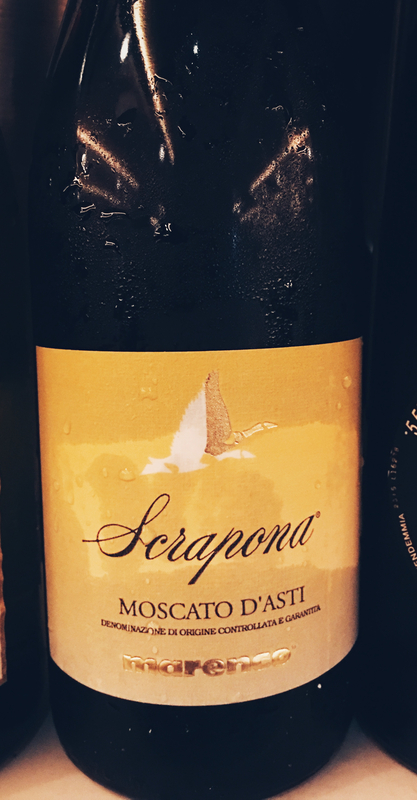 Holidays, brunch, hot summer days, celebrations, afternoons, dinner, dessert, spicy food, salty snacks….these are all opportunities to give a pour to Moscato d’Asti! 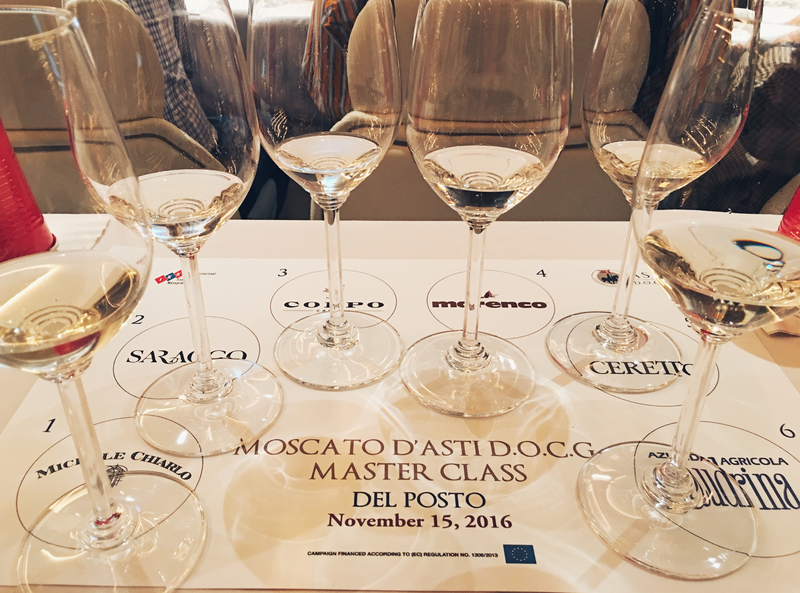 I was delighted to attend a Master Class tasting on the wonders and possibilities of Moscato d’Asti, held at the renowned Del Posto restaurant in NYC. Neighboring on Barbaresco and close to Barolo, the Asti region is located in the lower left corner of piedmont, northern Italy. The territory is UNESCO protected, reflecting the distinct “sense of place” expressed in its wines. Although it is a tiny area, there is a lot of diversity in the soil composition and climate, which leads to different terroirs. The cultivated areas are very specific, from super steep hillsides to the lower valleys, which additionally contributes distinct characteristics. The steep sites [200-600 meters above sea level] are known for their limestone and sand soils, which bestow a delicate, airy edge, whilst the lower vineyards have sedimentary soils resulting in more concentration and richness of flavour. Labeled a sweet wine, Moscato has been limited to dessert parings. While it is delicious with sweets, it is wonderful on its own, with appetizers, cheese, fruit [such as figs and melon] and absolutely fantastic with spicy and salty food! Well balanced, with great acidity, it seems more appropriate to consider it along the lines of a sweet Cabernet Sauvignon or red blend. 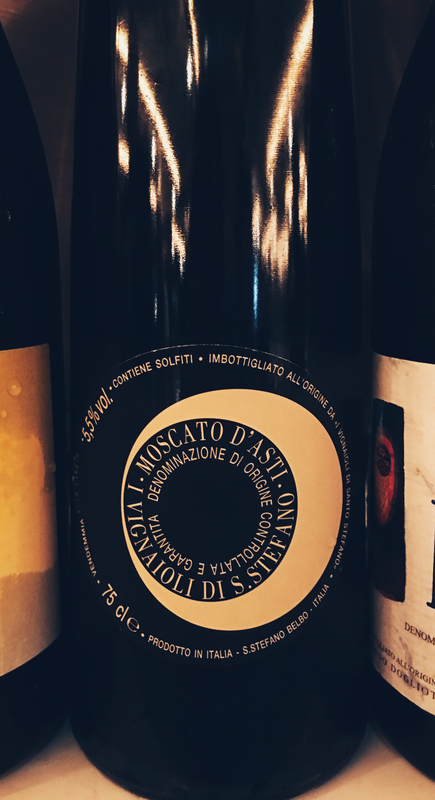 So what sets Moscato from Asti apart from all of those other Moscatos? 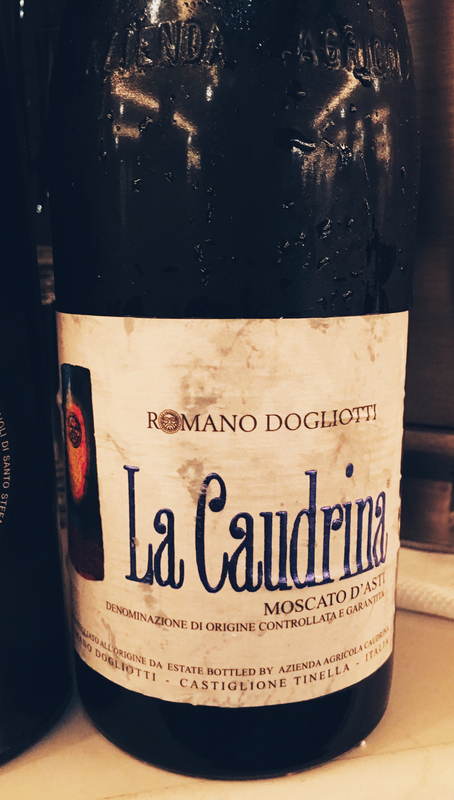 • Moscato d’Asti is made only from the Moscato Bianco grape. Cultivated since ancient Roman times, it is the variety from which all other varieties of Moscato [there are hundreds of types!] derive from. • Moscato Bianco has the highest level of Terpenes [specific organic compounds that can range in aroma from sweet and floral to woodsy and herbaceous] of all the Moscato varieties, which makes it highly aromatic and gives it its renowned floral and peach aromas. • Asti Moscato is “gently sparkling”, a soft bubbly or frizzante made thru the natural fermentation process, without the addition of any sugar. 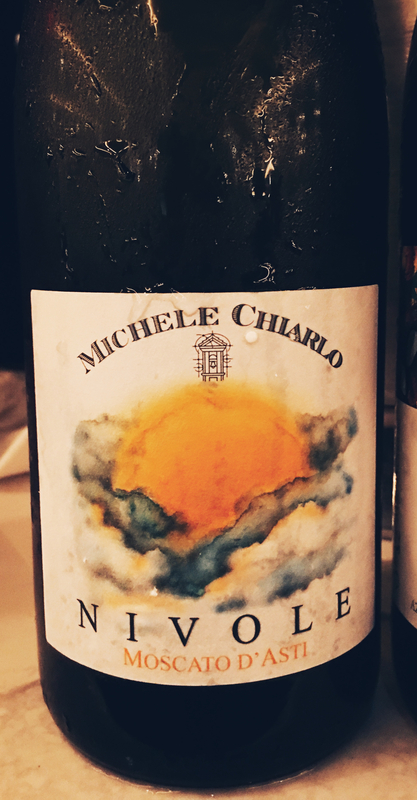 • The acidity and creamy texture integrates well with a meal. • Low alcohol, hovering right around 5%. And then there is the story behind each bottle from Asti. These are wines that are “made out of pride, not for money”. The majority of winemakers grew up watching their grandfathers work out thru trial and error the parts of the land that would accept vines. The land is extremely difficult to farm, and was not at all rewarding, it was their “grandfathers passion” to make Moscato wines. Today, 95% of the winemakers in Asti are farmers, sharing a proud motto of “history equals skill”. All of the vines are organically farmed [not necessarily certified] or working towards organic standards. As Gianpiero Scavino of Ceretto stated “we realized it wasn’t hard to respect the earth”. The estate is certified organic beginning with this 2015 vintage, and also utilizes biodynamic and sustainable methods. Appropriate for a family with a motto of “The land is the soul of our wines.”. 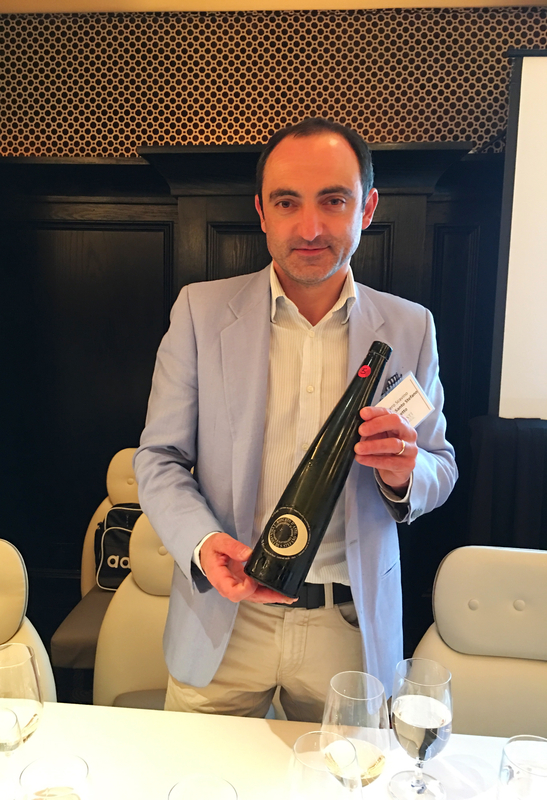 • Stefano Chiarlo of the renowned Michele Chiarlo estate stated that his “main job is to capture the aromas of the grape as you walk thru the vineyards and pour it into the glass”. • Ceretto’s Gianpiero Scavino explained the distinctness as “landscapes are beautiful and that is part of the difference. The work that’s required, that’s priceless”. Poetry and passion, found in each bubbly sip. I greatly enjoyed all of the wines presented, below are the ones I found the most engaging and expressive of where they come from. Pale yellow with green highlights in colour, with lush aromas of honey, lemon and an herbaceous hint. Bursting with floral notes backed by creamy honey, lemon and apricot flavours. The light fizziness adds a crisp, refreshing edge. Gold in colour with wonderfully intriguing aromas of sweet honey, citrus blossom and savory herbs. Vivid peach, sage, lime and orange blossom flavours culminate in a golden honey and clean mineral finish. Named after the single vineyard, Scrapona where grapes were hand harvested from, this is distinct and fascinating, with a delicate edge. Deep gold in colour with inviting aromas of grapefruit, peach and white flowers. A woodsy, herbaceous streak harmonizes with vivid peach and apricot flavours. Finishing with sunny acidity and fine, zippy, citrus-laden bubbles. 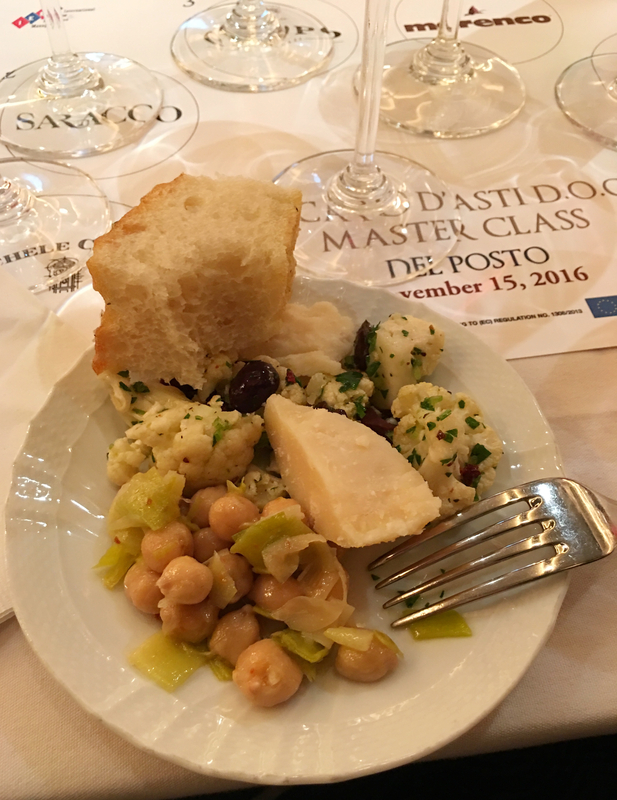 Engaging and interesting, this is was spectacular with spicy chickpeas, artichoke and Parmigiano-Reggiano. Deep straw yellow in colour with aromas of white flowers and sea salt minerals. Creamy lemon and honey flavours are dusted with honeysuckle, culminating with peach and apricot notes on the mineral driven finish. Well balanced and elegant, you keep reaching for more.